How Much Has Book Marketing Changed Since 2005? 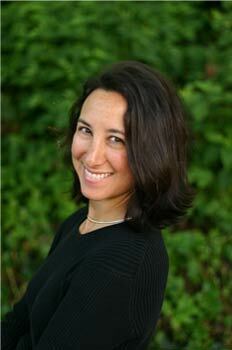 Amy Stolls is the author of The Ninth Wife, a novel just released from HarperCollins as a paperback original. The premise: What sane woman would consider becoming any man’s ninth wife? Amy is smart, witty, and knowledgeable about the writing and publishing world. I was curious about her publishing and marketing experience with The Ninth Wife (her second novel), and how it was different from her first novel (released in 2005 to wide acclaim). Read on for some fabulous insights. Your first novel came out in 2005, to good reviews, plus it won an award. Your second just came out from HarperCollins. In six years, a LOT has changed in publishing. What has been the biggest surprise during the process the second time around? You’re exactly right. So much has changed. I had very different experiences with my two novels, but to tell the truth, some of that is due to the books themselves and who published them. My first novel, Palms to the Ground, was for young adults, published as a hardback by a boutique press that didn’t really give it any special marketing treatment beyond what it gave most of its other YA titles. 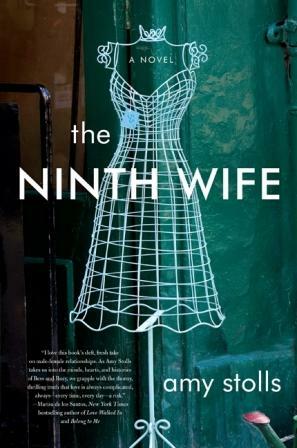 The Ninth Wife, on the other hand, was published by a large commercial house as a paperback original and was lucky enough to be chosen as one of the publisher’s lead titles for the season, meaning they actually put a respectable amount of marketing muscle behind it. To my utter surprise, mind you. Like most of my author friends, I was expecting to have to hire my own publicist or devote a ton of my time to self-promotion. That said, I was told—hm, let’s say urged—by HarperCollins to get my own website up and running by the release date (on my own dime), to set up a Facebook fan page and Twitter account, and be active in the blogosphere. Nobody at Farrar, Straus and Giroux mentioned any of that to me, of course. Back then, it was all about the reviews. Nail the literary trifecta, it seemed (Kirkus, Publishers Weekly, and for YAs, Library Journal)—check—and you’re on your way. Throw in an award or two—check—even better. I don’t recall being urged to do anything on my end, frankly. I set up a local reading for friends, and got lucky with a few school visits, but that’s about it. I also noticed that, though it got good reviews, the reviews weren’t always starred. School librarians who have small budgets often go down the list and just order the starred books. I can’t blame them. The point is, my experience with the first book taught me this: getting all or mostly all good reviews doesn’t translate into sales. And from what I hear from all my author friends these days, that’s still true today, particularly now that there are fewer venues for reviews. But here’s the good news, and where, I feel, everything has changed between then and now: more and more readers are finding ways to speak up and be heard and create buzz! Membership on sites like Goodreads—where readers can rate and review books—has exploded, just like the number of bloggers. All hail the folks with daytime jobs and kids and lives outside of literature, but who love to read and have taken to the Internet to share that passion with others through their blogs and Facebook updates and tweets and retweets. The total explosion of e-books has helped with access, too, but still … I’ve found many of the reviews from bloggers to be smarter, more thoughtful, more thorough than most of the reviews I’m reading in traditional venues. Before my second book came out, I thought most of the people who blogged about books—and consequently most of their followers—were book people. You know, in the biz, which meant it was all sort of preaching to the choir, and we authors didn’t stand a chance of reaching the casual readers the way, say, book reviews in a general newspaper might attract the general readers. It’s great that The Ninth Wife is selling wonderfully in the new blogger landscape! Could you share a little about how you scored blogger coverage? I think the trick is to send out galleys or early copies to as many of them as you can. That’s what HarperCollins did. They also signed up for what I learned was a blog tour through TLC Book Tours, in which at least 10 bloggers agree to review your book in exchange for free copies. They don’t have to be positive reviews, mind you, but at least its guaranteed exposure. I could have pitched topics for guest blogs on various sites, especially those blogs written by friends. I think that’s always a good thing to do, even before the book hits the stores. But what I did do at the suggestion of HarperCollins, and plan on doing more of, is communicate with the bloggers who already reviewed my book. HarperCollins suggested that after a review, I wait a week to let people comment and then write in a thanks and perhaps respond to certain parts of the review itself. The more authors can do that, the more they seem human. As far as traditional reviews, you mentioned to me that not many have appeared for The Ninth Wife. Why do you think this is? Yeah … dunno, exactly. Perhaps too much competition for relative unknowns like me during the spring/summer season? Too few venues for reviews? I know what it’s like to have a million books arrive at your desk like many editors do. It’s overwhelming.And my book’s not short, so there’s a time commitment there. But sadly, I do also think it’s because it’s a paperback original. I really thought we’d come a long way in that regard, but from what I hear … we’re not there yet. More of them are being published, that’s for sure, and they almost always sell better than hardbacks, mostly because they’re cheaper and more attractive to book groups. But the hardbacks are still more likely to get reviewed. Tell us how you’ve been using channels like Goodreads and Facebook. Of course. Goodreads, well … I’m not actually doing a lot on this site. It’s more that I’m glad it exists. I can tell you, though, that HarperCollins did some of its own marketing on the site that really worked, and if individual authors could do the same, it might be worth the effort. After all, it has something like five million members. For example, folks could sign up to win a free galley—I think HarperCollins gave away 25—and a few thousand people signed up. Obviously, they all didn’t win a copy, but it got on their radar, you know? Of course it helps to have a good premise or hook to lure people in. I did learn that lesson early on. Now Facebook—that’s where I’ve been most active. In a way, a Facebook fan page is preaching to the choir, for the only folks who really look you up are already fans. But to get them to “like” you, and stick with you, and comment on your page, and tell others to look you up, you have to keep your page active. And for me, that often means being funny, giving my “fans” the feeling like they’re in the loop, in my inner circle. Which they are, in a way. They “like” me … how can I not like them back? Also, because I’m so busy, writing the quick one-liner updates fits with my schedule. I should be doing it more often … I’m getting there. Just like I’m working up to using Twitter. What about readings? Some people say readings are dead. Have you done any? Should anyone do them? I don’t really think readings do the trick for rookie authors like me. They often don’t even work well for seasoned authors, unless those authors have a niche following or have reached close to celeb status. (I’m speaking of novelists here, not poets who sadly reach smaller audiences but make deeper connections with their readers). I have a good friend—bestselling author of three novels—who e-mailed me totally depressed from the road on her book tour around the Midwest where three or four people were showing up for her readings. I did a reading in DC—where I live—and it was great. It was a fun, celebratory, necessary event that did sell books and helped spread the word among friends of friends sort of thing. In fact, a childhood babysitter of mine whom I hadn’t seen in decades but lives in the area happened to see a posting of the event (and thankfully the good review in the Washington Post) and came. Shocked the hell out of me! But I also did a reading in, for example, Winnetka, Illinois, where four people showed up despite all the advertising of the event they did in the Chicago Tribune. The four people were my mother-in-law, her partner, her friend, and my husband’s cousin. Some authors are amazing at drumming up audiences to their own events, and don’t mind when hardly anyone shows up, but I haven’t heard that readings sell books for the most part. Unless they’re at book festivals. Festivals are great for attracting the casual attendee who didn’t come for you but could get turned on to your book. Many festivals around the country accept applications from authors to attend. Might I make another suggestion, though? Why not try and schedule events that aren’t readings? A literary center in my area asked me to do a reading this winter or next spring, long after the book has been out. I wrote back a counteroffer: how about something completely different? How about, for example, a fun Q&A with another author friend of mine, about the writing life, in which we talk about our books but also try to stump each other? That way, it’s more fun for us because it’s different, more fun for the audience because it’s different, and we can cross-pollinate our fan base. I don’t know why writers don’t do more of this sort of thing. Fabulous idea! I do hear success stories of authors collaborating on events like this, and offering more of a benefit or angle that goes beyond just “Buy my book!”—something that enlightens or entertains the audience. You’re fortunate to have excellent distribution for your book—it’s stocked in all the bookstores of course, but also Target and Costco—plus there have been some innovative ways of getting out there. Sutter Home (the wine company) featured it as a book club selection. (If I ever write and launch a book, I hope a bourbon maker will feature it.) But seriously, how did that happen? That was HarperCollins’s doing. I remember sitting in the marketing meeting and the HarperCollins folks talking about trying to “win” the Target and Costco markets. Very foreign to me … I work in the literary, nonprofit world, so megastores like that and wine companies wouldn’t ever have occurred to me. That said, my mom and mother-in-law have been traveling around the states of New York and Illinois rearranging the stacks at these stores to make my book more visible. I think that’s really the key to sales. Hire my mom and mother-in-law. Let’s say you could do this book launch over again. We’re six months away from publication. Is there anything you’d do differently? Anything you’d prepare for in advance? Oh, sure. I’d have embraced Twitter. I’d have been blogging on my website. I’d have gotten the word out better about my willingness to visit book groups. I would have pitched some pieces to major magazines to get my name out there. Most of all, I would have read and reread all of your blog posts. I would totally have had a bestseller on my hands by now. If you haven’t heard about The Ninth Wife, go check out the Amazon page for many wonderful reviews. Find out more about Amy’s work at her website. Last, but not least, check out her cameo appearance in this book trailer from Carolyn Parkhurst. Posted in Author Q&A, Marketing & Promotion, Social Media. Great interview and insight on how publishing and marketing books has changed from the author’s perspective. Thanks! Was lucky to have Amy spend time on a Q&A! Thanks for stopping by. Wonderful Interview! Love hearing her insight to today’s market – it’s changing on daily basis. My novel is with my agent making rounds in NY and so anything I can read about what’s going on out there to help my cause is a real blessing – thank you! It IS changing near-daily. I know it’s time consuming to stay up to date (as well as to experiment with different marketing tactics) but it’s important for sales. You’re right. You can’t only write a good book these days and get it published, because there are others out there who’ve also done that! You have to find a way to shine! I always like to think great quality content is the best marketing of all (and it is), but like you say, I don’t think it’s *enough*! Yes, it’s an exceptionally outdated and short-sighted practice. I was one of the lucky reviewers who was sent a copy for review (though not through TLC). I enjoyed The Ninth Wife and the subplot of the heroine’s grandparents. It’s interesting that professional book reviewers take don’t take paperback originals seriously. Vintage Contemporaries has some great titles out right now, one of which is the fantastic Games to Play After Dark by Sarah Gardner Borden. And then of course, there’s Harper Perennial’s Domestic Violets. I don’t see how professional reviewers can remain close minded in this changing publishing climate. I couldn’t agree with you more … especially given how industry economics have been upended by e-book releases. Excellent & insightful. Thank you! I find the entire landscape different in publishing in all aspects, marketing included. I recently came to the conclusion that a very good thing for authors to do, is go to other people’s blogs and post somewhat intelligent comments. We all check the comments on our blogs and it’s a way of making a connection. I liked the family re-arranging books. Let’s face it, every author has gone into a B&N and put their books cover out and turned the authors to the left and right spine out for the space. Well, look. Here I am, a newspaper reviewer (who also reviews on her blog), who found you on a blog. Interesting. Anyway, should you read this, email me, and I’ll read your book and recommend it, if I like it. Good luck with everything! Sounds like a fun read. A lot of great “inside” information here. This is why I love your site! Excellent interview! That’s for all the advice 🙂 I’m in DC too, let me know the next time you have an event. Now Facebook seems to be the best way to promote almost everything….And it works, because that’s how I found my new lecture, the top 20 marketing books by Yuri Mintskovsky. I’m wondering what’s next…. This is helpful and consise. I’m a bit late to the conversation, but thanks none the less.